Ann Arbor (Informed Comment) – The leader of the Syrian Democratic Forces, Mazlum Koubani, announced Saturday the end of the phony “caliphate” of the so-called Islamic State group, as the terrorist organization’s last sliver of territory in the Baghouz district east of Deir al-Zor, fell. I have all along objected to calling the defunct organization the “Islamic State” on the grounds that so naming themselves is a propaganda ploy that we should not fall for. If a Catholic terrorist called itself “The Vatican” we wouldn’t breathlessly report that The Vatican today killed 25 people in Oaxaca… In the Middle East and Europe it is called Daesh, the Arabic acronym. Or ISIL is the English acronym. Koubani said that the last pocket of ISIL had been cleared out. Thousands of people have left the enclave east of Deir al-Zor as the Kurdish-led forces closed in. Trump has repeatedly tried to take credit for the destruction of the “territorial caliphate.” But all he really has done is preside over the final stages of President Obama’s plan for defeating ISIL. That plan entailed enlisting the People’s Protection Units (YPG) of the Syrian left wing Kurdish party to provide the ground troops necessary to taking and holding territory. 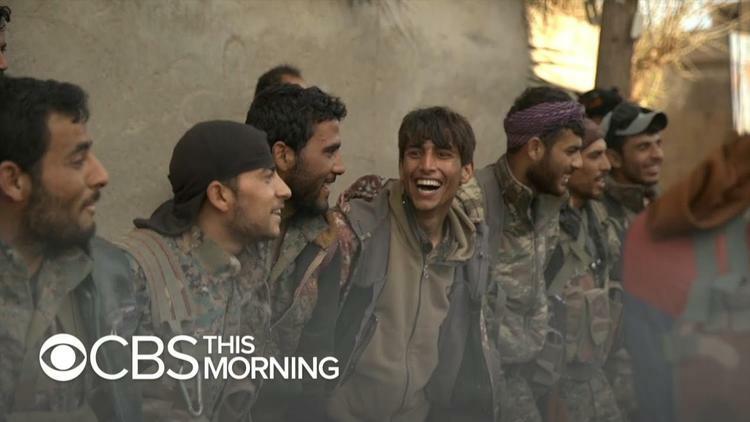 The YPG has lost thousands of men in this fight, which they were willing to pursue in part because ISIL had targeted their cities in northeast Syria. ISIL’s stochastic attacks in San Bernardino and Paris may have contributed to Trump’s victory in the 2016 presidential election. Journalists and policy makers were breathless after the fall of Mosul to ISIL in 2014. In contrast, I maintained that the group was a “flash in the pan.” I could see that none of its neighbors wanted it, and I predicted that they would combine to finish it off. ISIL has devolved back into a terrorist group and still carries out operations in Iraq and Syria.